Omni R02000 Reverse Osmosis Drinking Water Filters & Purification Systems! Replacement cartridges, membranes, orings and faucets, for Omni Filter RO2050. The inexpensive RS14 gets changed 4 times per year. 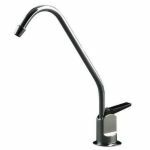 Need a new RO 2000 Faucet? Benefits Removes chlorine and odors to provide great tasting water and ice. Benefits Removes harmful Cryptosporidium and Giardia cysts in drinking water. Also removes chlorine and odors to give you great tasting water. Benefits Reduces chlorine and sediment that can damage clothing, appliances, and cause itchy skin.